PLUMAS COUNTY, California — There is a deafening silence after snow falls in the Plumas National Forest. It’s a wild land where the fresh powder muffles the outside world and covers man-made roads. That calm silence is often broken by Alyssa Martin's sled dog team. It’s hard to keep track, but there are 13 Siberian huskies in the group. When you walk into their kennel, you are greeted by a bombardment of howling. "Some are way more friendly than others, but they each have their own personality," said Martin. 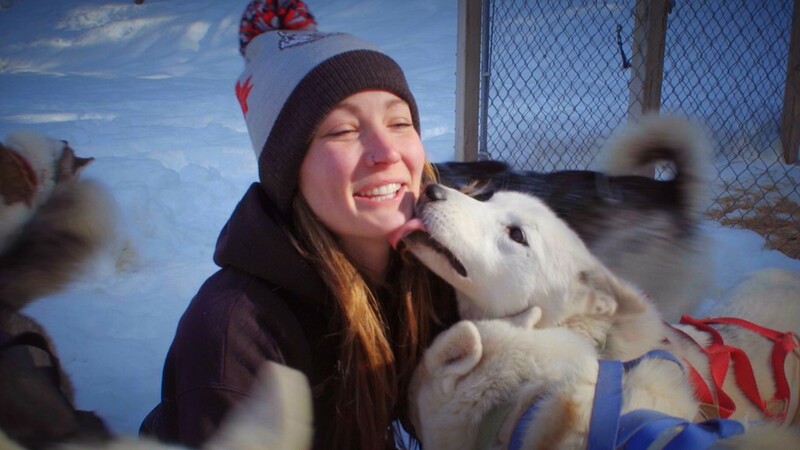 The 29-year-old is not your average sled dog musher. She's not formally trained, and neither was anyone in her family. 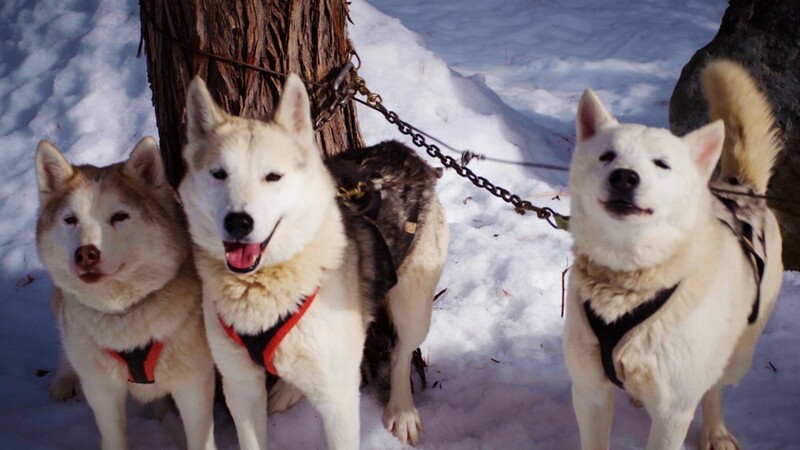 "I have been dog sledding for 18 years, since I was 11-years-old." Martin makes it look easy, but everything she learned is from books and advice from other mushers. Today she's taking the dogs for a short run through the Plumas-Eureka State Park just outside of Johnsville. "My first big race was 100 miles and it was a big wake up call. I didn't finish it," said Martin. Someday Martin will finish that 100-mile race, but for now, dog sledding is therapy. 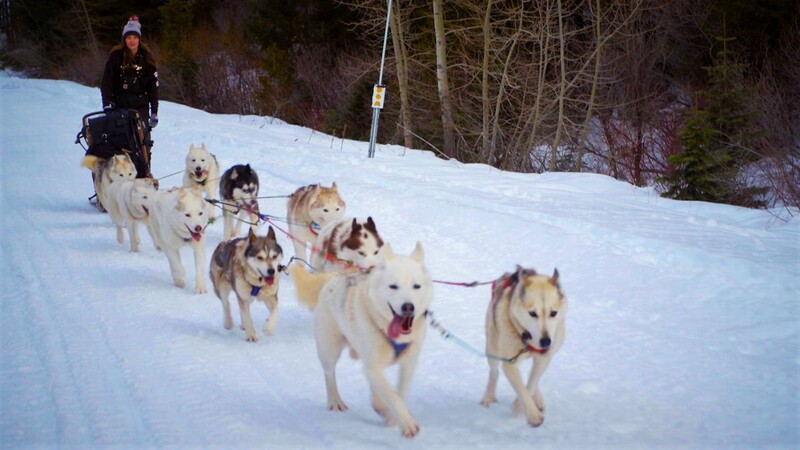 From the sled, all you can hear is the hypnotic huff of the dogs breathing, and the hiss of the wood skis against the snow. It's bliss. "It’s just dead silent, and so peaceful, and there are no distractions. It’s just you and your dogs," said Martin. The dogs get excited as the time nears for dogsled musher Alyssa Martin to take them for a run. Dog sled racer Alyssa Martin is greeted by her dogs before taking them out for a run. Dogs wait for musher Alyssa Martin to hook them to the sled. 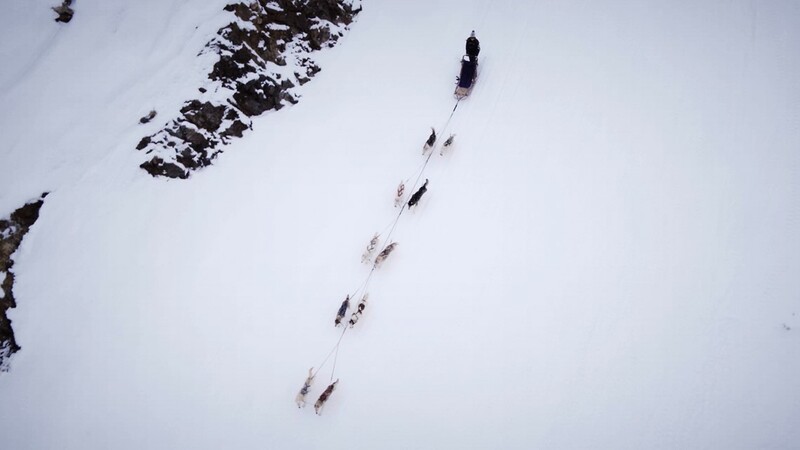 An overhead view of dogsled racer Alyssa Martin and her team as they wind their way through Plumas-Eureka State Park. 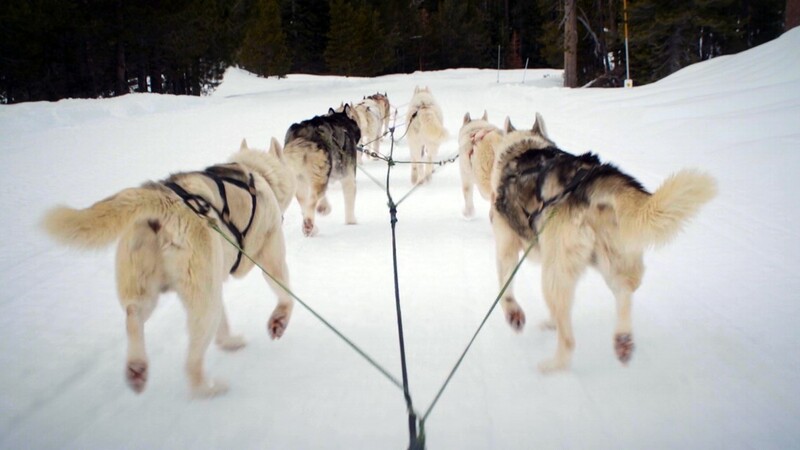 The view from the sled as Alyssa Martin and her team head down a trail in Plumas-Eureka State Park. Dogsled musher Alyssa Martin guides her team through Plumas-Eureka State Park. Alyssa Martin has been a dogsled musher for about 11 years and is largely self-taught. 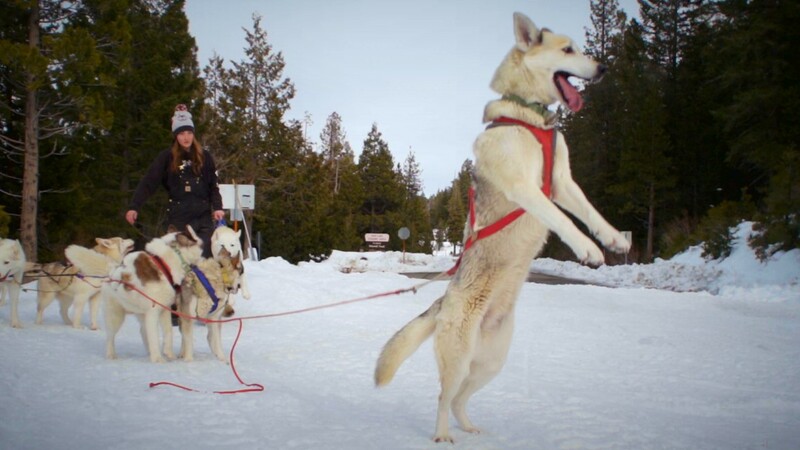 Alyssa Martin and her dogsled team race through Plumas-Eureka State Park. Martin's dogs are smaller than Alaskan huskies. They are also a little slower, but for Martin, it’s not about speed or strength. It's about loyalty. It’s easy to see that she and her dogs have a special bond, and they have to. They've been through a lot together. "We have been in some really cold temperatures, snowstorms. We were chased by a bear once," Martin recalled. "It was a sow with two cubs. She charged and I pulled out my grizzly spray and she stopped. Then I said, 'It's OK.' Then I told my dogs to keep going." The land in Plumas County is wild. It's unforgiving. And it takes a tough spirit to break through the silence in these mountains. When Martin travels this land with her team, it’s not quiet. "We just know each other inside and out, and you can just tell how much they care about me and how much I care about them."